Sheep give off a certain impression as being moderately unintelligent and timid in the midst of other animals. As you can imagine, sheep are seldom viewed as leaders of the animal kingdom, opposed to lions, which are widely perceived as being leader-like and courageous, and rightfully so. Still, there is something about sheep that makes them leaders in their own right. Some sheep have problem-solving abilities and their various vocalizations signal when danger is nearing. Sheep have abilities of their own, including the ability to lead, just like a lion, no matter how quiet they may appear. Throughout my time as a leader in the Rutgers community, I have learned that leadership is not solely for those who are the loudest, bravest, and most extroverted. In fact, such characteristics do not necessarily equate to effective leadership at all. Instead, with confidence, support, and guidance, the most introverted of students can lead in great capacities! Thanks to my various support systems, I, as an introvert, have been able to hold office positions in my halls’ Residence Hall Associations my first and sophomore years and be an Orientation Leader. The difference between an extrovert and an introvert is the way in which each person receives his or her energy to succeed and complete tasks. Extroverts get their energy by being around others, whereas introverts need more alone time to gather their own thoughts, relax, and self-reflect. Both kinds of personalities can lead to productive leadership. However, very often, students feel as though being an introvert means that they cannot be a leader, and that is false. While I highly enjoy being around others, I identify with being an introverted individual. As many introverts cannot attest to, I cherish my time that I have to myself, and after I have that time, I feel rejuvenated to do well academically, socially with my friends, and in my leadership endeavors. Coming off as quiet or reserved has actually helped me in my leadership experiences. I have learned that I can be relatable and genuine by being my introverted self. In my experience as an Orientation Leader, I have connected with students who are also very introverted and given them the sight that they too can be leaders. Incoming students appreciate when they can connect with a leader of the university who is not overly energetic or always looking for a spotlight, so do not feel as though you need to change if you are an introvert. Effective leadership is about purpose and fulfilling that purpose with authenticity. People will follow your leadership because of who you genuinely are, not for a false impression of a leader. Introverts rock, so never change! People will find you relatable and personable when you embrace yourself as an introvert. You’ll find out that you are not the only one who identifies with this personality type, so you may just inspire someone else. As an introvert, stepping up as a leader may come with certain insecurities and overwhelming, new experiences. Do not stray from situations that make you feel uncomfortable. Even extroverts experience those discomforts. Be willing to learn from such cases, and soon discomfort will feel comfortable! Be heard! You have a voice, no matter how introverted you maybe! Use it. Your input can possibly ameliorate a circumstance for an organization that you are a leader in. Also, you are given leadership positions for a reason; use it to make a difference! 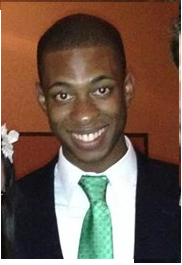 Chris Price is a junior in the School of Arts and Sciences Honors Program, majoring in English with a minor in Music. He serves as a Resident Assistant in Brett Hall on the College Avenue Campus, an Orientation Team Leader for New Student Orientation and Family Programs, and a company member of both Cabaret Theatre and The Livingston Theatre Company. This Post was tagged introvert, leadership, leadership style, Personality type. Bookmark the permalink.